I love crab cakes....and I love salmon. So why not substitute the crab with the salmon? 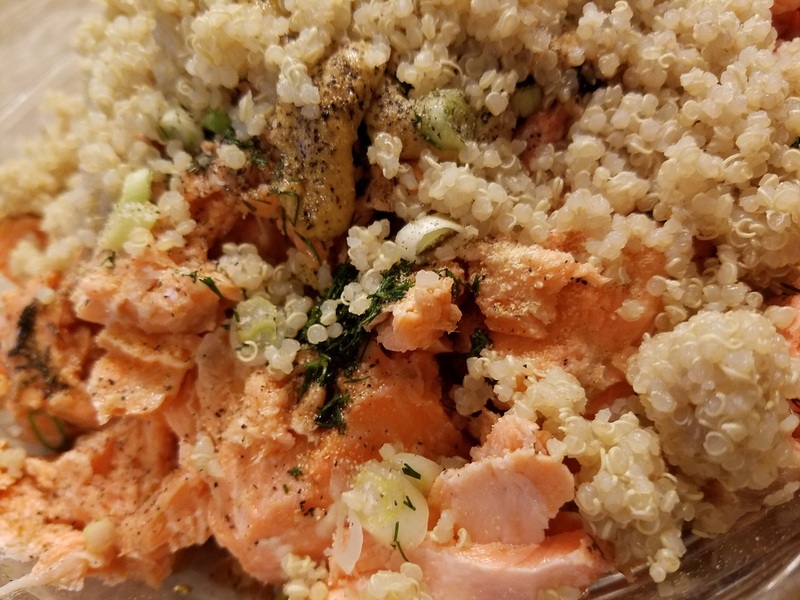 And... let's keep it healthy and substitute the crushed crackers or bread crumbs you would use to hold a crab cake together for the Quinoa which will hold this together beautifully!! In the end, this is soooo delicious and amazingly healthy. The only other ingredients in here are to add to the flavors. Pair this with a great side salad and you have an amazing meal. Preheat your oven to 400 degrees. 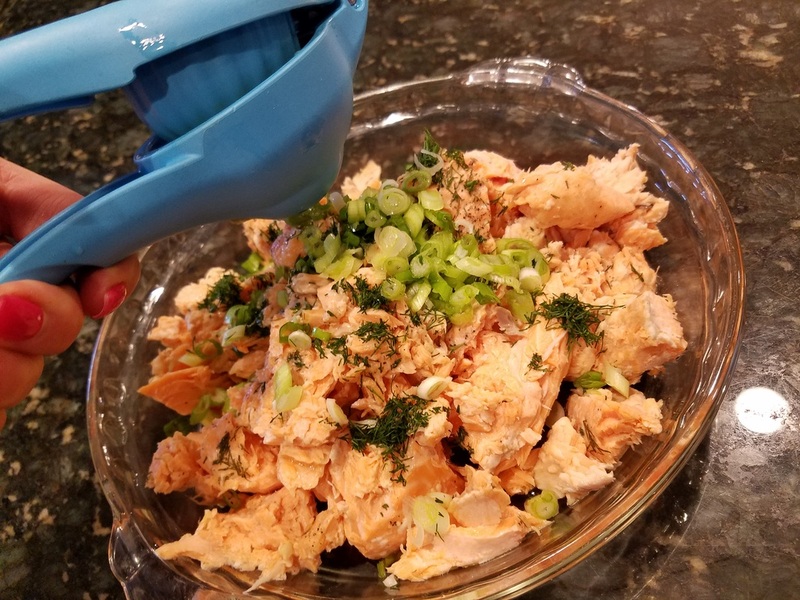 Brush the salmon with olive oil and season with salt & pepper and one tablespoon of the chopped dill. Bake for 30 minutes or until flaky when broken apart with a fork and cooked through. Remove the skin and just break it apart gently leaving it in bigger pieces, putting it all into a mixing bowl. ​Now add the remaining ingredients. 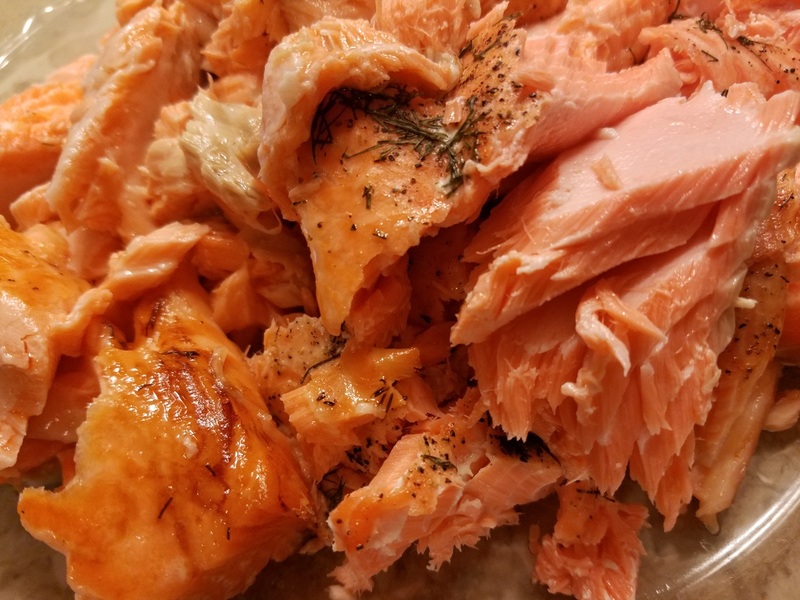 Again, gently, with a spoon, mix it all together leaving the salmon chunky. When it's all mixed together, take a small handful and form into a patty. Place on a baking sheet lined with parchment paper. This made 10 cakes for me, but give or take depending on the size you like. I like to spray them with a cooking spray before they go into the oven. It gives them a beautiful golden brown color. Turn your oven down to 350 degrees and bake for 20 minutes. Then switch the oven to broil. I love to give it a little extra crunch....just for about 5 minutes. Pair with a great salad or veggie and you can serve with some lemon to top it off. This is so delicious. Your have got to try it.......ENJOY! !